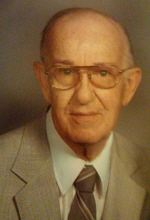 Grant J. Fleenor, age 95, of Mattoon passed away peacefully on Thursday, April 11, 2019 to join his beautiful, loving wife Rosalee (Wright) Fleenor and wonderful sons, David Kenton Fleenor, Thomas Grant Fleenor and Robert Mark Fleenor into the hands of the Lord. Memorial Services with Military Rites honoring his life will begin at 2:00 p.m. on Saturday, April 13, 2019 at Schilling Funeral Home with Pastor J. Michael Smith officiating. Burial will take place at a later date at Dodge Grove Cemetery. Visitation for family and friends will be held from1:00 p.m. until the time of the service on Saturday at the funeral home. Survivors include his daughter, Marsha (Jerry) True of Mattoon, IL; daughter-in-law, Ruth Ann (Wood) Fleenor; grandchildren, April Stephens, Amy True (George Tucker), Angela (Alex) Cortez, Kim (Shane) Duzan, Grant Fleenor, Mark (Amanda) Fleenor, Matt Fleenor and Jane (Michael) Driskell; 10 great-grandchildren and 4 great-great grandchildren. In lieu of flowers, memorial donations in his honor may be given to the Mattoon Food Pantry or the American Heart Association. To send flowers or a remembrance gift to the family of Grant J. Fleenor, please visit our Tribute Store. "Email Address" would like to share the life celebration of Grant J. Fleenor. Click on the "link" to go to share a favorite memory or leave a condolence message for the family.